World Text are pleased to announce that with immediate effect Netherlands SMS Virtual Numbers are available to rent for inbound (MO) and two way text messaging. Back in April 2014 the Dutch Consumer & Market Authority decreed that normal mobile prefix numbers (+316) were no longer allowed to be used for A2P (Application to Person) or M2M (Machine to Machine) text messaging services. This was indicated as being due to a projected shortage of numbering ranges being available in the future for normal P2P (Person to Person) mobile use. 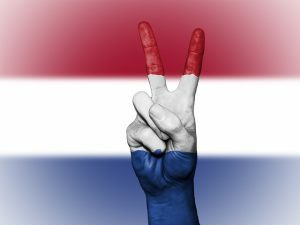 A new special numbering range has been allocate by the Dutch regulators, once again allowing inbound and two way text messaging services for both A2P and M2M . The +3197 prefix ranges have been integrated and interconnected with all the major networks, and are the only regulator approved virtual numbers to be used for this purpose. We don’t charge you for receiving inbound text messages over you numbers, we also don’t require there to be a balanced quantity of outbound text messages. So the price you see is the price you pay. Simple or advanced, you have multiple options to receive your text messages: Straight to your email inbox or to a URL of your choice, with automatic processing of the messages by the unique and original Auto Responder – all without any cost. For those needing industry standard, HA, high volume, high speed or wholesale connection, we offer SMPP. If you have any questions or would like to get a Netherlands SMS Virtual Number setup on your account, please contact us.